Shop@MustardSeed: what exactly is a CARD? It's official! 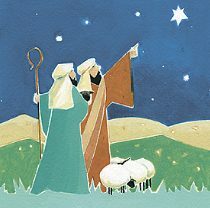 The Mustard Seed has the widest selection of Christmas Cards (and Advent Calendars!) in the whole of Faringdon . But - what IS a CARD - I hear you ask? 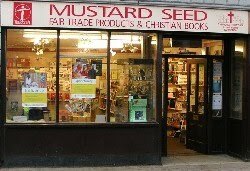 I can now exclusively reveal that the Mustard Seed only stocks ONE of the above. But which is it? If you think you know the answer, then phone 244821 immediately (calls cost £12 per second and last no more than 5 minutes) to enter the DRAW . But what is a DRAW I hear you ask? Gosh! What could that mean? Fortunately, I have a friend who speaks ancient Pictish. 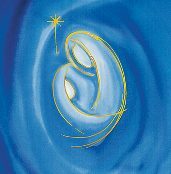 It says (apparently) : " Capture the true meaning of Christmas by sending your friends & relations beautiful Seekers Light & Traidcraft cards from the Mustard Seed. " Pictish is clearly a VERY efficient language. And yes - I really DO think we have the widest selection in the whole of Faringdon!